In their most recent livestream, 343 Industries laid out a number of updates and tweaks they have in the works for Halo 5: Guardians, Halo: The Master Chief Collection, and Halo Wars 2. While most of these tweaks are multiplayer focused or centered around visual enhancements to these titles to make them look better on the forthcoming Xbox One X, there was one co-op friendly piece of news with Halo Wars 2: it soon will support cross-platform play. The title was originally released as part of the "Xbox Play Anywhere" program, which meant that if you picked it up for the Xbox One or Windows 10, you automatically could play it on the other platform at no additional charge. While many of these titles also supported cross-platform play, curiously, Halo Wars 2 did not. That oversight will be corrected once the new update arrives sometime before the end of October (no specific date was given). 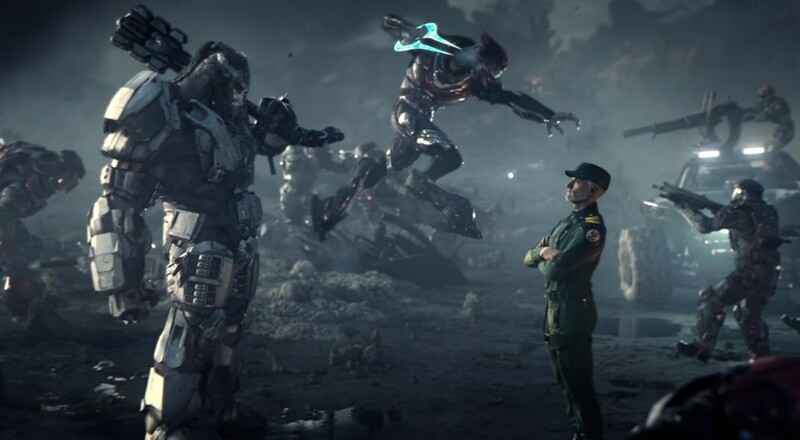 While we found Halo Wars 2 to be a mixed bag overall, the one specific point that Nick lamented in our Co-Op Review was the lack of cross-play between Xbox One and Windows 10. Hopefully, once this update hits, players will have an easier time selecting all units together. Page created in 0.7047 seconds.